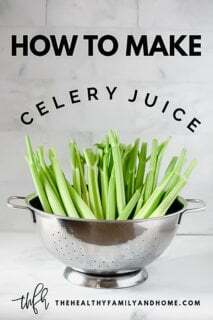 I’m sharing with you the official Celery Juice Recipe + Protocol from Medical Medium with many frequently asked questions and a Medical Medium: Liver Rescue Book GIVEAWAY! Stay tuned to the end of the post to enter the GIVEAWAY for a brand-new Medical Medium: Liver Rescue book! Whether you are ready to start the healing celery juice protocol or are just curious about all the “celery juice” talk on social media, I want to make sure that you have the answers you need and a chance to win a copy of the book that started it all. First, I need to let you know that I despise following “trends” or “fads” and usually run as far away from them as possible. I’m telling you this because this is NOT the reason I have fallen in love with the celery juice protocol. 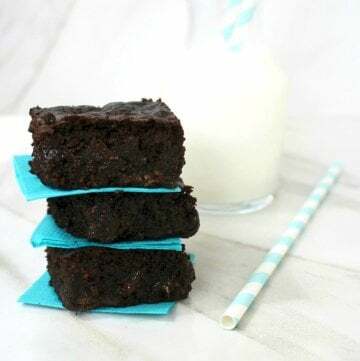 If you’ve noticed over the past 6 months or so, I’ve been adding “Medical Medium” recipes and tags to my recipe collection because I’ve been following the Medical Medium thyroid healing protocol since April 2018. When Anthony William’s newest book came out in October 2018, “Medical Medium: Liver Rescue“, I grabbed a copy as soon as it hit the bookshelves. Unfortunately, I happen to have a severely compromised liver (along with a host of other health problems because of it) so I couldn’t wait to start making celery juice and following his healing recommendations and am slowly making progress. 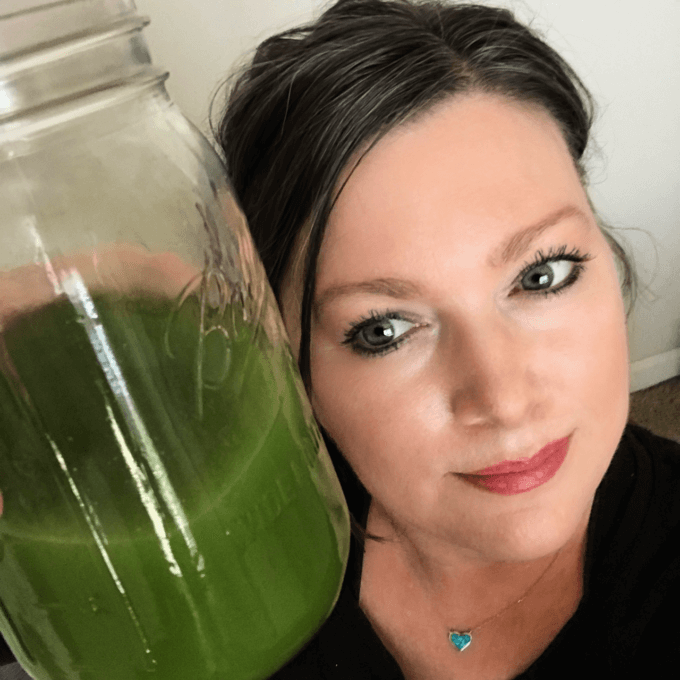 I’ve been making the celery juice every day since October 2018 and am so excited to see so many people turning to real food to heal! So I wanted to put together a page with some common questions and instructions of how to use celery juice as a healing food in case you’re looking to give it a try. I am going to just touch on the main highlights of the benefits of drinking celery juice, per Medical Medium, but I highly suggest you purchase his book “Medical Medium: Liver Rescue” to get a plethora of information not only about celery juice but many other healing foods. There are SO many health conditions that are being healed with celery juice, I can’t list them all here. Just visit the Medical Medium Instagram page for inspiration and to read about people’s healing stories. Can I Add Anything To My Celery Juice? No! Per Medical Medium, to receive the healing benefits of celery juice, it should be 100% pure celery juice with nothing else added. You can certainly consume another juice recipe later in the day that has other ingredients added to celery juice like this Beet + Celery Juice, Carrot, Apple + Celery Juice, or Spinach, Cucumber + Celery Juice – but for healing benefits, it needs to be 100% pure celery juice. For the healing celery juice protocol – do not add lemons, limes, salt, other fruit or vegetables, add the juice to a smoothie, etc. Only 100% pure celery juice. If you think about it, where are your ice cubes coming from? 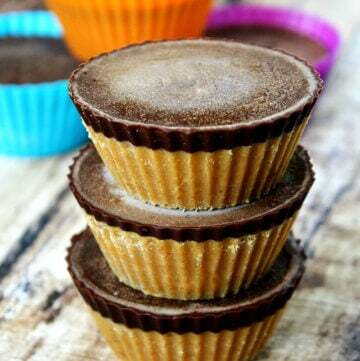 Unless you make them with filtered/purified water from a Berkey, they are made with tap water. Do I Need To Strain My Celery Juice? Yes! Per Medical Medium, you should have 100% pure celery juice with no pulp. He compares celery juice to a “herbal elixir”, in which the healing components are extracted from a plant/herb. I haven’t yet figured out what to do with the enormous amount of celery pulp I end up with, but when I do, I will let you know! If you are using a juicer, make sure you strain the juice before drinking. 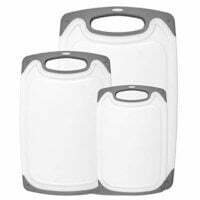 If you are using a Vitamix, make sure you strain the juice with a nut milk bag before drinking. How Much Celery Do I Need To Make 16 ounces of Juice? This is going to vary depending on the size of your celery bunches. When I first started juicing in October 2018, celery was plentiful and the bunches were huge. I could make 16 ounces of juice with just one bunch of celery. 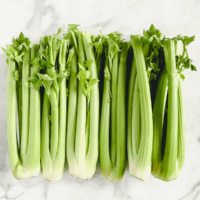 Now, in February 2019 with celery becoming scarce, the bunches are much smaller. It now takes me 2 bunches of celery to make 16 ounces of celery juice because the bunches are so scrawny. Can I Juice The Celery Leaves? The celery leaves will make the juice bitter, so I always cut mine off before juicing. How Much Celery Juice Do I Need To Drink? 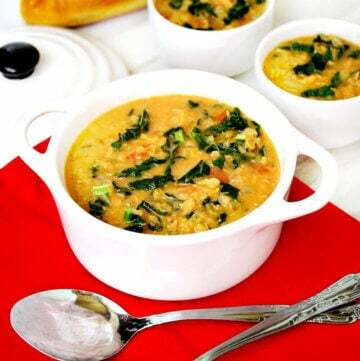 Per Medical Medium, for healing benefits, you should consume at least 16 ounces each morning on an empty stomach. If you are having trouble getting down 16 ounces, he says you can start with a smaller amount and work your way up to 16 ounces. Can I Just Eat A Bunch Of Celery Instead? You can always eat as much celery as you like, whenever you want to. 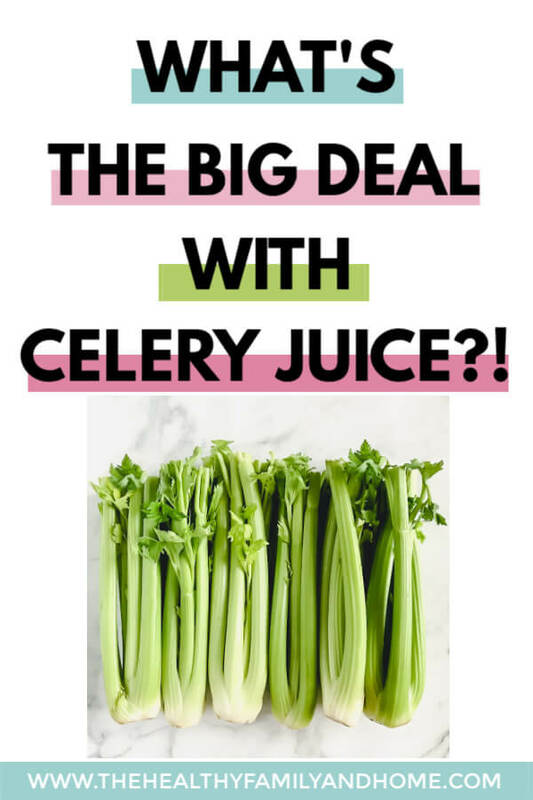 But for healing benefits, you need to juice the celery and consume only 100% celery juice, no pulp, on an empty stomach, first thing in the morning. Can I Store My Celery Juice? Per Medical Medium, celery juice is best consumed immediately after juicing it. However, it can be stored in an air-tight glass container in the refrigerator overnight, but no longer than that. 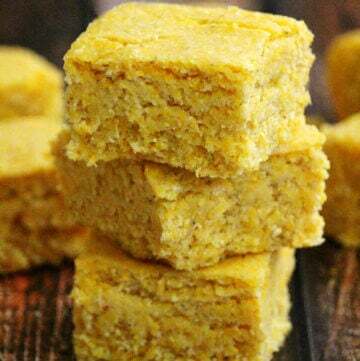 A lot of people ask if it can be made in batches, in advance, and stored in the refrigerator, but to receive the healing benefits it should be consumed within 24 hours. 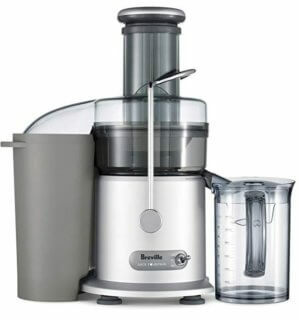 What Kind of Juicer Should I Use To Make Celery Juice? 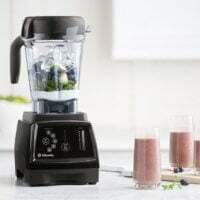 The best kind of juicer to use is the one that works best for you, meets your juicing goals, and is in your price range. There are many different brands and models to choose from with different features and in all price ranges. 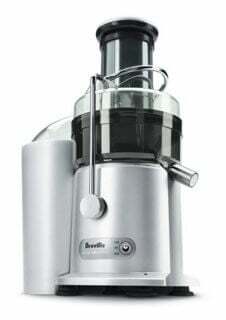 When I first started juicing over 12 years ago, I purchased a Breville juicer because I didn’t want to spend a lot of money especially since I didn’t know if I would get into the juicing routine, or if it would be another appliance that took up residence in my cabinet. 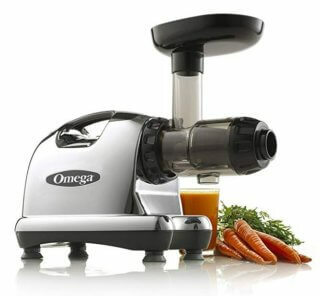 But after a couple of years, the juicing routine did stick and I upgraded to an Omega 8005/8006 model. 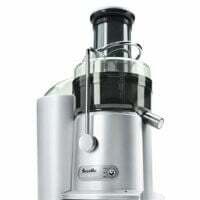 An Omega juicer is pricier, but it is a masticating juicer and is especially good for leafy greens. 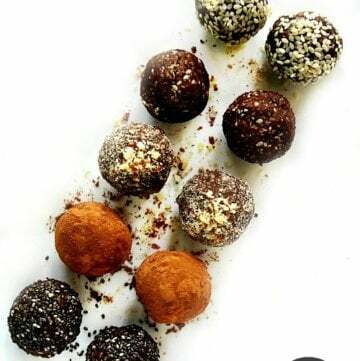 And as a bonus, you can also make nut butter with it too! 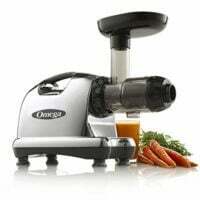 So I looked at the Omega juicer as an investment and I’ve been using mine for over 10+ years now and love it. It’s easy to use and I feel safe letting my son’s use it to make juice because of the long chute at the top. 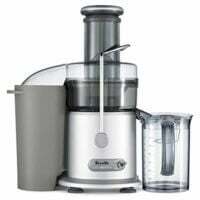 When researching current juicing models online for this post, I was very sad to see shortages and even price gauging on juicers. Can I Make Celery Juice In A Vitamix? Yes! You can make celery juice in a Vitamix (video instructions coming soon!). 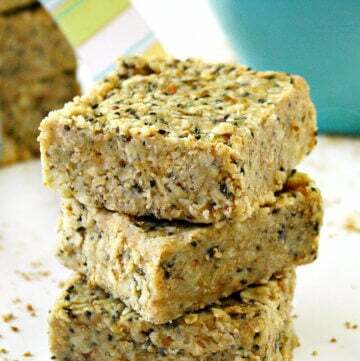 All you need to do is blend it, then strain it through a nut milk bag to get all the pulp out. You should have nothing left over but 100% pure celery juice when through. When Should I Drink Celery Juice? Per Medical Medium, you should drink your celery juice on an empty stomach, first thing in the morning. How Soon Can I Eat/Drink After Drinking Celery Juice? Per Medical Medium, you should wait at least 15-30 minutes after drinking your celery juice before eating or drinking anything else. Do I Have To Use Organic Celery? This is a personal decision you will need to make. Per Medical Medium, it is ok to use non-organic celery as long as you “wash it off well” in a mixture of baking soda + purified/filtered water. His position on this is the benefits of the celery juice outweigh any potential harm from pesticides. However, I personally do not feel comfortable consuming non-organic celery even after washing it because I’ve read material and interviews from conventional farmers who say non-organic celery is so heavily sprayed with pesticides and fungicides that these chemicals are not only on the outside of the celery but in the seeds, soil, roots, leaves and inside of the celery. Cleaning the outside of the celery will not get rid of the pesticides on the inside. And, non-organic celery is on the EWG.org “Dirty Dozen” list of Top 12 most heavily sprayed produce. Per the EWG.org website, “More than 95 percent of conventional celery samples tested positive for pesticides. A maximum of 13 pesticides was detected on a sample of conventional celery“. In addition, according to whatsonmyfood.org, non-organic celery can contain up to 64 different pesticide residues! 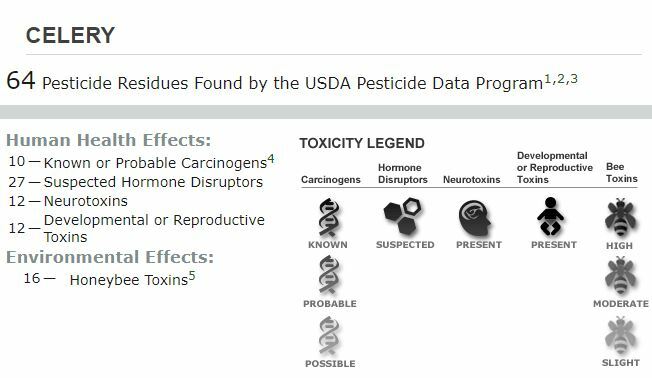 The insecticide Chlorantraniliprole was found present 100% of the time and the insecticide Methoxyfenozide was found present 50% of the time in non-organic celery. 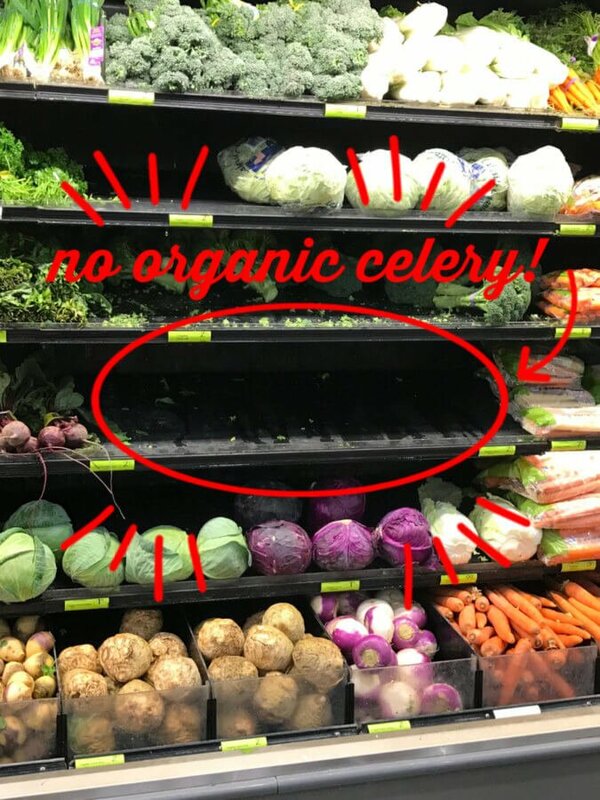 So far, I have been lucky to have had only one occasion when organic celery wasn’t available. What If I Can’t Find Any Celery To Buy? 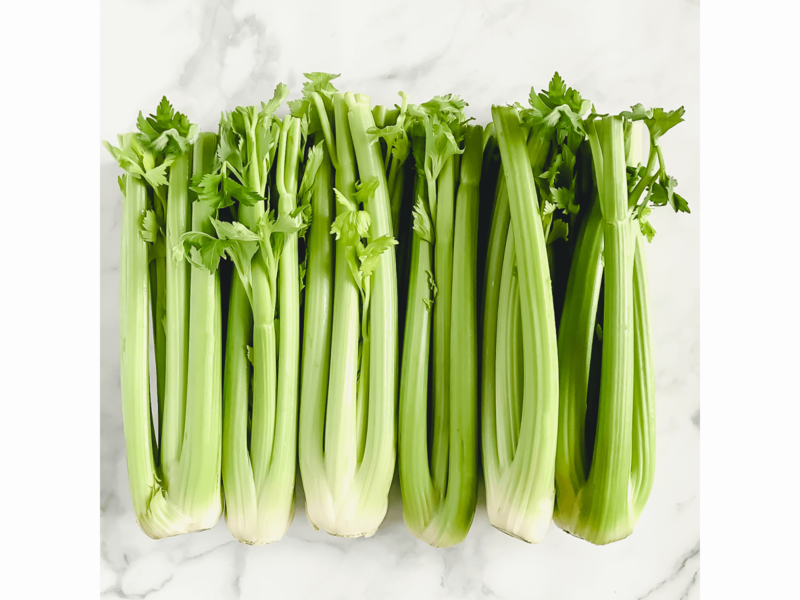 Try to look at is this way – a shortage of celery means more and more people are using real foods to heal and that’s a good thing! But it can be downright scary when you get to the grocery store and they are completely sold out, especially if you’re on a regular routine of drinking it every morning. Thoughts of “Oh no!” and “What will I do now?” pop in your head. The last time I purchased my celery for the week, almost everyone in the checkout line had celery in their cart. And for me, living in South Louisiana, it reminds me of when we have an approaching hurricane or storm and everyone runs to the store to stock up and the shelves are empty – bottled water, bread, etc. It felt like an end-of-times scenario! But there are alternatives and hopefully, the supply will begin to keep up with the demand. Per Medical Medium, the next best thing to celery juice is cucumber juice. Just juice it (without the skins) and drink in the same manner as the celery juice. How Do I Clean My Celery? First, you want to make sure you are cleaning your celery with clean, purified water. The whole point of drinking pure celery juice is to help your body heal and eliminate toxins. Rinsing and cleaning your celery in tap water would be counteractive. 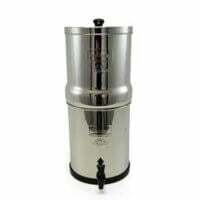 To make sure I’m using the cleanest and purest water possible, I use a Berkey water filter. Not only for cleaning my celery but for our drinking water, to cook with, soak nuts + seeds, make coffee (for my husband), tea, etc. Even organic celery needs to be washed before you juice it. Is Celery Juice Hard To Make? In fact, my youngest son makes my celery juice for me every morning. I clean it and prep it for him and he likes to operate the juicer. 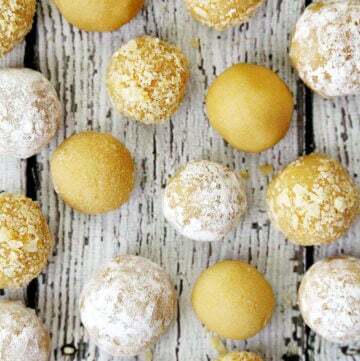 It seriously takes less than 5 minutes to make. Where Can I Learn More About Celery Juice? 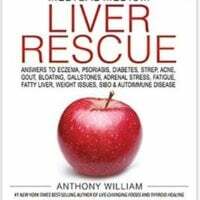 I highly, highly, highly recommend purchasing and reading the Medical Medium: Liver Rescue book by Anthony Williams. It gives detailed information not only about celery juice but many other healing foods and protocols. Cut off the base of the celery and remove any leaves. Wash / Rinse the celery with baking soda + purified / filtered water. Place the celery stalk into the shoot of your juicer and juice according to the manufacturer's instructions. Strain the juice until ALL pulp is removed. 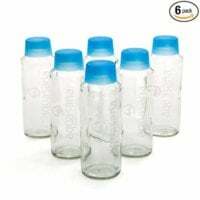 Consume immediately or store in an air-tight glass container in the refrigerator overnight, but no longer than that. Place the celery stalks in a Vitamix and blend until it becomes a liquid. 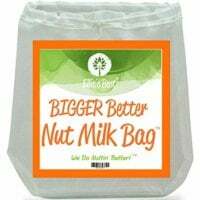 Using a nut milk bag, strain ALL the pump from the juice. 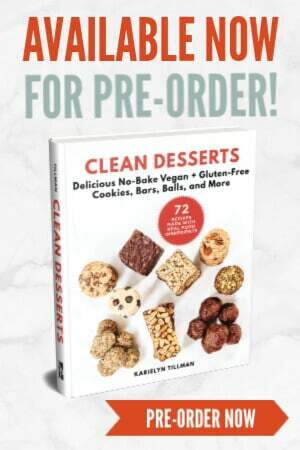 Leave a comment below about why you’d love to win the book – maybe even share a specific health concern you’re hoping to heal! Follow me on Instagram @thehealthyfamilyandhome (if you are already a subscriber, just let me know in the comments). Subscribe to my email list (if you are already a subscriber, just let me know in the comments). A winner will be chosen at the end of the month. I use a Green Star juicer and hardly have any pulp left. Someone told me today that they make a vegetable broth with the pulp. Just simmer is and it will liquefy and then add other veggies, herbs, and seasonings. Also because the Green Star Juicer is so good, I rarely have to use more than 1 bunch of celery to get my 16 to 20 ounces. Hi there Lori! I don’t have a whole lot of pulp left but it seems such a waste to throw it away. I like the idea of making a vegetable broth with it, thanks for sharing that tip! I can sometimes get 16-20 ounces with one bunch of celery, but it just depends on the size of the bunch. Whole Foods organic celery is larger and I can always get 16+ ounces. I need at least 2 of the smaller organic celery bunches that I sometimes get from another grocery store. I’ve never used a Green Star juicer, but have heard they are really good. 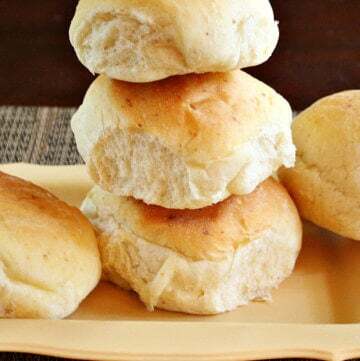 I’ve subscribed to you for several years and truly appreciate your honesty and the way you lay things out in your recipes. I also now follow you on Instagram. I have the book, Medical Medium Liver Rescue and love it! Just wanted to thank you for your great website and information! Hi there JP! I am so happy to hear you already know about the Medical Medium: Liver Rescue book…that’s great! I’ve been drinking celery juice daily for four years! It has helped me heal my chronic digestive issues I’ve had my entire life! Thank you for sharing this information! Hi Marion! That’s so great to hear! I bet you never had trouble getting celery several years ago lol! I’m slowly seeing improvements, but digestive issues have been I’ve seen the most improvement so far too.